We’d love your help. Let us know what’s wrong with this preview of Empty Little Heart by Aria E. Maher. 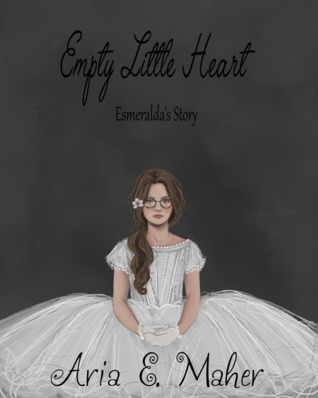 To ask other readers questions about Empty Little Heart, please sign up. I wrote my first book when I was eight, chronicling the grand adventures of the Super Mario Bros. in pages torn from a sketchbook and bound with masking tape. At ten, I ditched my writing for a career as a robotics engineer, and constructed interesting devices (which never worked) out of old bits of computers and washing machines. But then, dismayed that I would have to study mathematics (oh, the I wrote my first book when I was eight, chronicling the grand adventures of the Super Mario Bros. in pages torn from a sketchbook and bound with masking tape. At ten, I ditched my writing for a career as a robotics engineer, and constructed interesting devices (which never worked) out of old bits of computers and washing machines. But then, dismayed that I would have to study mathematics (oh, the horror!) in order to be an engineer, I returned to my writing, and constructed bizarre fantasy worlds filled with fairies, portals, mad wizards, and flying castles built on clouds.